Season 1. Episode 3 with Manuel Romero. Listen to the podcast. Don't forget to subscribe! Host: Welcome to Rethinking Football. This is part 3 of our 3-part series interview with Manuel Romero. I am your host Dawn Brown. Today we will be discussing one of the best international summer tournaments in Spain, the Cerdanya Cup. Competitive Youth seasons finish around June in Spain and there are no real football competitions for youth until around mid-August or September when all the youth players return from vacation to their top tier teams. Most teams take the opportunity to host summer camps aim to give a tourist experience rather than a real competitive one to foreign players with low level. We wanted to talk about this event because unlike most summer tournaments in Europe, it actually hosts top teams and gives players and scouts a stage to evaluate players skills. Many top teams use this event as their last post season competition to help their coaches finalize their roster for the following season. Romero joins us from Sabadell, Spain and is speaking to us through an interpreter. Host: Let's talk a little bit about the Cerdanya Cup that is coming up in the summer, in June. Can you tell me a little bit about was going to be happening there. A little bit about teams that are invited. What are some of the highlights we can expect to see there? Guest: Well, the Cerdanya Cup is something that occurred to me 18 summers ago. This year will be the 18th edition. I had to ask permission from Real Madrid to let me organize it and agree to host this tournament in an area as beautiful as the one where the tournament is held. The truth is that it is an incomparable site, with beautiful views of nature. Which is exactly why so many famous people make this their summer residence. Host: It sounds beautiful. Who are some of the famous people who have homes there? Guest: For example, Shakira has a house there. Shakira and Piqué have a house there, Carles Puyol, Iván de la Peña, Luis Enrique have bought houses there too. In other words, the place is very beautiful! It is known as Little Switzerland because it resembles that country quite a bit. Host: You mentioned that it is an international tournament with the right mix of Spanish academy teams and international teams. Where do the teams come from? Guest: The tournament is played on natural grass fields. It's getting a lot of popularity, and we've been growing for a few years now. In fact, last year we even had two teams from China for the first time. And, the tournament was televised and streamed for Chinese television. Host: What kind of participation are you expecting this year? Guest: This year we already have requests from teams from Japan, from Mexico, the United States, and from France. The tournament is becoming more and more important. Every edition more scouts choose to come to watch players at the tournament. And, well, the goal for me is always to try to make it more and more attractive for players, but above all I manage this event using a fundamental rule. Try to make sure that anyone who comes to participate, players, public, companions, etc., when the event finishes, they leave with a good and learning memory. Because if they leave happily, there are two possibilities, one is they return to the tournament the following year or two, that, if they do not return the following year because they want to choose another destination, when they are asked about the Cerdanya Cup, they can always speak good things about it. It is not easy but we are achieving this goal because we have been doubling participation for two years. Last year we had 1,800 people watching the finals. And this year, it’s only February 17 and we have more than 50 registered teams and people from all over the world looking to come. This afternoon, I got a call from Iran to come with a U16 team and the Defensor de Lima from Peru. That’s an important indicator that it is a great event, when teams from far away are paying attention to the tournament. Now that I remember also, a team from Salvador de Bahía, an academy in Brazil called me a few hours ago requesting information. So all that makes us excited to continue in the work we do here and try to make this 18th edition surpass last year’s. Last year we had 72 teams and almost 1800 people watching the final. Host: You want teams to be challenged but you also want it to be a good learning experience, so that scouts and coaches can evaluate players effectively. How do you balance giving international teams a competitive environment that also allows them to show their true potential? Guest: We try to make people feel at home, so that they are comfortable facing the competition. And it’s also very competitive because some of the best academies in Spain participate. In fact, the tournament has had players who are now known worldwide, as for example Marco Asensio who is now in Real Madrid and Àleix Vidal who is in FC Barcelona. The tournament takes place in seven venues, two of which are French territory. It’s very professional and rare is the venue where I do not see the image that I will share with you now. People with their cameras and their mobile phones taking pictures of the landscape because it is really beautiful. Host: Yes, Marco Asensio is a great player. 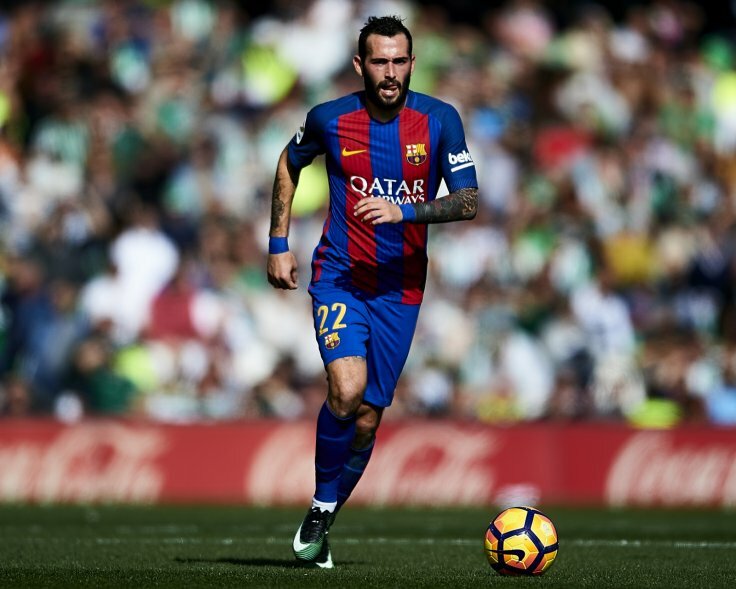 You also had Aleix Vidal, who I know you discovered, participate in the past. Aside from the competition and the diversity of the teams, what else makes the tournament unique? Guest: Well, the tournament is unique in that everyone travels and participates in equal conditions, and this is what I mean. Each team has to take care of their own travel to get here. And teams only have to pay the cost of room and board when they register, there are no other fees. In addition, all the teams, no matter how famous or humble they are, get to bring one coach and a delegate at no cost, meaning two adults responsible for the team competing. This is courtesy of the organizers. The two responsible for the team stay for free. The treatment for all teams is the same. Host: Let’s talk a little bit about the Spanish academies, other European academies, and select teams that you expect to have at the tournament this year. Guest: We are excited that teams at the national level like Cordoba, Albacete, Cartagena, and Nastic de Tarragona have asked to participate. At an international level, teams such as America de Mexico, and Queretaro, also from Mexico, Djurgárdens IF from Sweden, the Toulouse from France, the Spartan Rotterdam, amongst others, are communicating with us to come. And also, select teams such as the Balearic Islands Regional Team, which is how Marco Asensio first participated in the tournament. This select team traditionally competes every summer always bringing the best players from the Balearic Islands. Host: Any teams from the US participating? Guest: We will host four confirmed teams from Miami and I encourage more people from the United States to come because they will for sure learn a lot and have a good memory of Spain. Host: Aside from the competition, what do think attracts the strong academy teams, particularly from Spain, to participate? 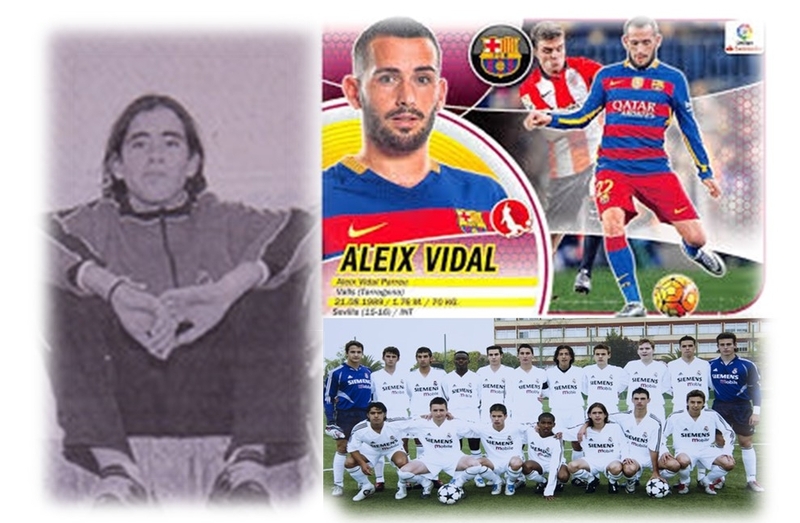 Aleix Vidal (FC Barcelona) was discovered by Manuel Romero and was also a participant at the Cerdanya Cup. Guest: All the teams compete on natural grass fields, from the smallest to the oldest. This is another incentive for European players. Because almost everyone here in Europe does not play on natural grass. Youth players usually play on artificial fields and of course this is an attraction for them, all the categories play on natural turf the same way professionals do when they see them on television. Host: This has been wonderful talking to you and learning more about your work and all of the things that you’ve accomplished in your career. I appreciate your time and for joining us for rethinking football. Guest: Well, I’m at your service for whatever you need, and for anything that can be of use to you. And I hope to be able to greet you in person someday, either in Spain or in the United States. Host: I’ll have to take you up on that offer! I look forward to meeting you in person one day. Host: This concludes this episode of Rethinking Football. Join us for the next episode as we talk with Hugo Perez, US National Team player and Coach, about his experiences in those roles and systems change needs globally in football. Marco Asensio (left) with Kiko Casilla at Real Madrid. 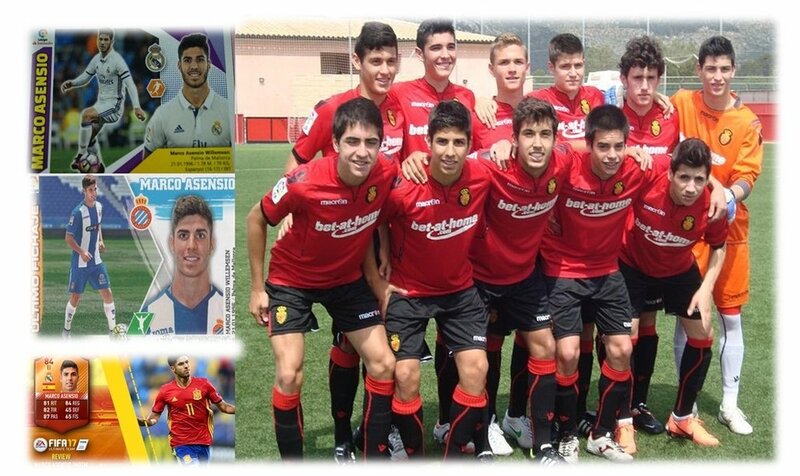 Asensio participated at the Cerdanya Cup with Balearic Islands Regional Team as a youth.